We’d love your help. 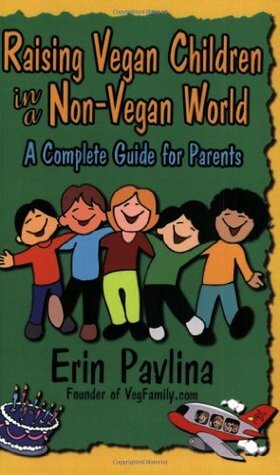 Let us know what’s wrong with this preview of Raising Vegan Children in a Non-Vegan World by Erin Pavlina. Topics covered include: Transitioning children to a vegan diet, school and daycare dilemmas, nutrition and health, social situations, mixed marriages, traveling, instilling compassion in children, and more! To ask other readers questions about Raising Vegan Children in a Non-Vegan World, please sign up. Great book filled with useful tips on raising a vegan child. My favorite sections were: Helping children transition, social situations and schools and daycare. Great resource to get you started raising healthy, happy vegan children.